Photo booth hire Sheffield. Perfect for weddings birthday parties and corporate events. Our Photo Booth is a fantastic addition to any celebration. Whether you are planning a Wedding, Birthday celebration, Graduation Party, Prom Nights or Christmas Parties, our Booth is guaranteed to be a hit & keep everyone talking about it. The Bliss Booth Photo Booth is of a superior quality - it is a bespoke booth that has been made especially for us & is built using only the best materials. We use only the best photographic equipment & as photographers we understand the importance behind not only the camera equipment but also the lighting. We guarantee that you will not be disappointed with the quality of the images you will receive! We love our original Bliss Photo Booth! 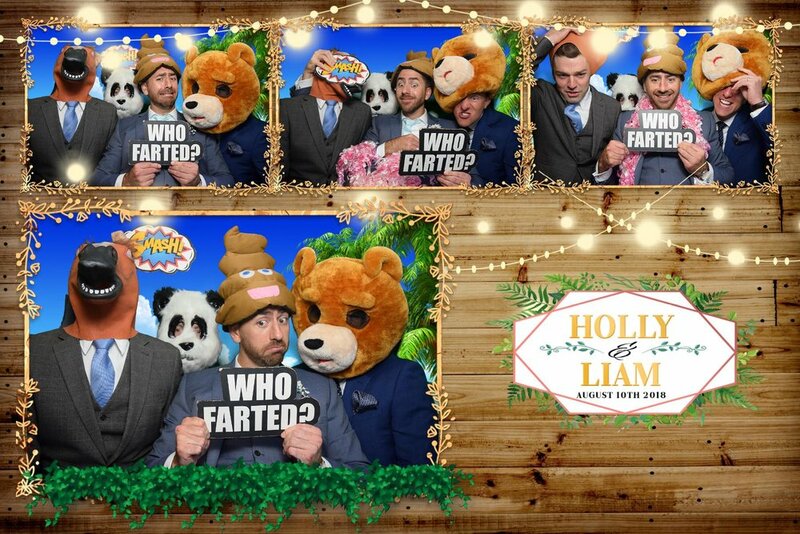 We hire our Photo Booth all over the UK in areas such as Sheffield, Nottingham, Doncaster, Yorkshire, Leeds & Hull. If you love our wedding Photo Booth then you will also love our amazing selection of props & fun extras. With amazing perks like unlimited prints, special photo strips designed just for you & great green screen selections, this is a brilliant way to keep your guests entertained. If you would like to hire our fantastic Photo Booth for your wedding then get in touch to see what we can do for you today! Photo Booths are great addition to a good party! We can create an amazing party Photo Booth photo strip custom made especially for you. With unlimited prints from our Photo Booth your guests will love the keepsake to take home. If you need a Photo Booth for your party in a specific theme we can not only add this to the photo strip but also add personal green screens which will really bring it alive at your party. You also get to keep a guest book with every high quality print in & you will also have a brilliant online gallery to look back on! BOOK BEFORE THE END OF FEBRUARY AND RECEIVE A FREE GUEST BOOK AND 2 SETS OF PRINTS, ONE EACH FOR YOUR GUESTS TO TAKE HOME AND ONE FOR YOUR BOOK! Do you have a quote you would like us to try and match or beat ? At Bliss Booth we offer the option to have your photo strips personalised with your event name, colour scheme or maybe even a personalised theme. We usually offer our photo's at 6x4 or a 2x6 strip but the amount of photos can be customised. Each person that enters the booth will receive a copy of their photographs and there will be a extra copy for your guest book, meaning no one leaves empty handed. If you are wanting a more vintage feel we can offer a black and white/sepia tone to the photos. Upgrade to our amazing large print option and truly wow your guests. The enlarged prints come out at a size of 6x8. We are happy to offer a more traditional option of a curtain background, please ask for details. Different styles and colours are available. Video messaging is now available, enquire for details. With every hire there will be photo booth attendants that will set up & stay for the entirety of your allotted time & then dismantle the booth. Our super green screen allows us to super impose pictures into the background of each photo booth picture. Beaches, Hollywood, The South Pole, The Moon or maybe you have some personal pictures you’d like to appear in the background. Our green screen is a high quality perspex which gives a high quality result. We also offer guest books or albums in our packages, extras can also be bought if required.